Our eclipse viewing got a nice, free-to-read newspaper story after all! When I first blogged about last week’s partial solar eclipse, I mentioned that a reporter had come out from the local paper, but that the story was unavailable behind the paper’s paywall. It turns out that I was mistaken. I had thought the story was paywalled because clicking on the front page link didn’t lead to anything more extensive, just the same short blurb and a link to subscribe. But that was because the main story hadn’t been written yet, not because it was paywalled. The full story was only published today. Here’s a link to the story online, and I’ll post a scan of the print version as soon as I get around to making one. It’s a nice writeup, with lots of detail and just about everything correct. The only thing I’d change is in the last paragraph–the telescopes at the Claremont Public Library are not for rent, they’re free to check out, just like a library book. 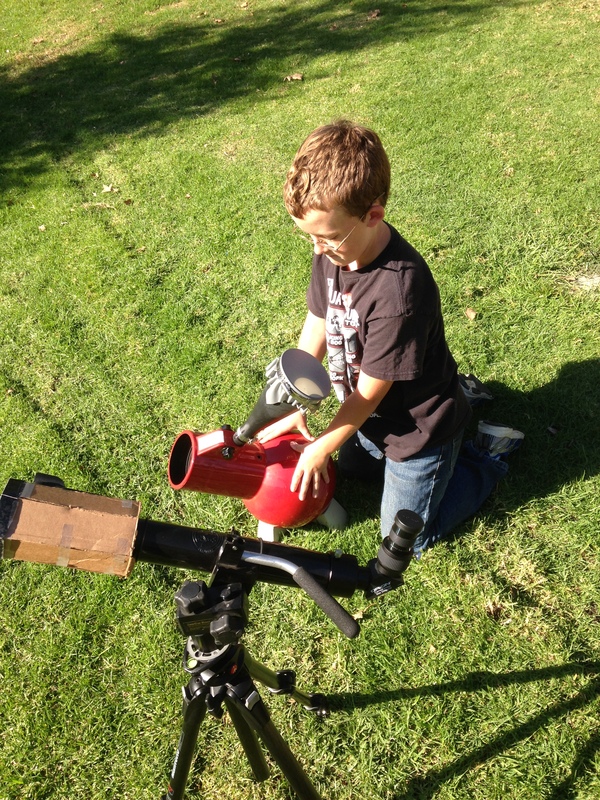 I haven’t blogged about our library telescope program yet because frankly it doesn’t need any additional exposure; we’re more than two years in, with two telescopes in circulation, and the wait list is still four months long. If and when the program gets to a point where it can handle more interest, I’ll see what I can do to fire some up! 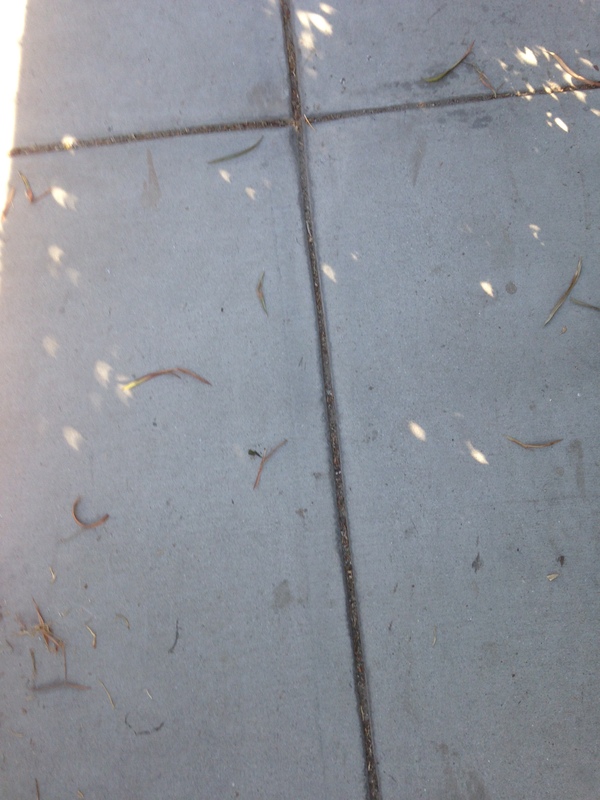 Anyway, this gave me the opportunity to post a couple more photos: above, London drives the Sun Funnel, and below, some mid-eclipse sun dapples on the sidewalk. A really good article, nice mix of clear, easy to understand explanations and quotes so you had the sense of a person actually speaking to you. We would NEVER get anything this long in any of our local newspapers. Sidewalk astronomy to a hugely extended audience.